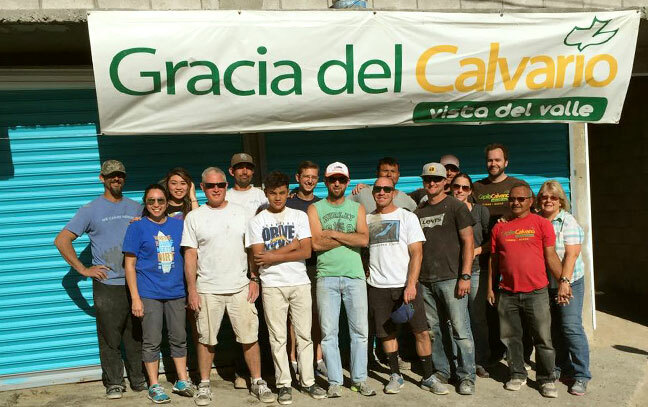 Gracia del Calvario is a bible teaching church in Vista Del Ville, Mexico near Tijuana that we partner with through relational and financial support. This ministry began in the hearts of Jose Luis and Cindy Pesina who had a vision and passion for Mexico that the Lord led them to transform from an outreach ministry into a church plant with a heart for evangelism and discipleship. The neighborhood they minister in is very impoverished with many struggling to put food on the table. There is great need for ministry and support to youth and families. We take several team trips to Mexico throughout the year. The teams we’ve taken in the past we have been involved with building homes, theological training and leadership development, help with construction of the church’s new building, fun and activities, baptisms, food distribution, and of course going out and encouraging people in the community and building them up in the faith. As you can see, the trips are largely varied in their specific purpose/goals, but they are all unified under the same mission: to see God’s glory known among the nations by making disciples who are saved, equipped, and sent with the Gospel. Come with us on the next trip! The travel cost of going is $50 (covering transportation and Mexican auto insurance). If you’re unable to cover the cost please let Matt Piro know you’re still interested in going and we will work something out. We don’t want money to hold anyone back from stepping out in faith and serving. Everyone 16 and over must have a passport to go (minors under the age of 16 may enter the US with a certified birth certificate). You can also get a passport card (for re-entry from Mexico and Canada only) if you’re not planning on going to other countries at some point. If you need to get your passport, we have applications for you to take at the Connection Booth on Sundays, or you can download one here. They take about 6 weeks to process, so you will be ready to go for the next trip! We believe in the power of prayer, and you can be a major help by supporting Gracia del Calvario in prayer. Pray for the church, the Pesina family as they seek to lead the people God has entrusted to their care, the rest of the staff, and as well as the hearts of those God may stir up to serve Mexico in the future. Consider giving a recurring or one time gift toward Gracia del Calvario. You can do so on their website. Donate toward the cost of others going on a trip down. If you already have a passport, consider sponsoring the cost of a passport for someone who would otherwise love to go on the next trip. You can always visit the Connection Booth on Sunday for more information and or to donate toward any of these great missional opportunities. Thank you in advance for your generosity and support of all God is doing through Gracia del Calvario! If you have any questions you can email our Mexico missions coordinator Matt Piro at . 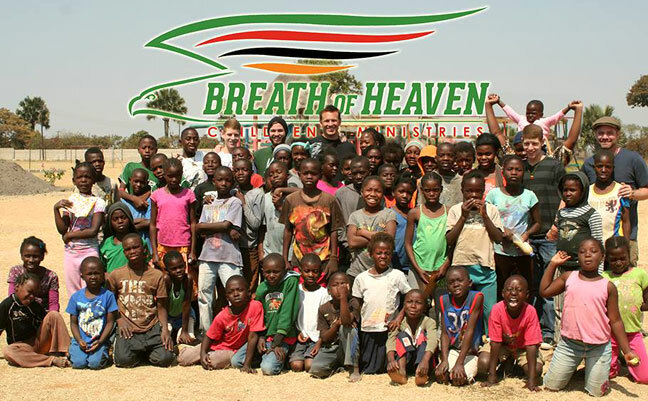 Breath of Heaven is a children’s village in Lusaka, Zambia dedicated to helping meet the needs of the growing orphan population in the country, striving to provide a stable, secure, family-like environment for them. They are currently able to serve and care for 73 orphans in 6 homes (with a 7th soon to be built), house mothers and aunties for each home, a school (for the village children and those in the neighboring community), and of course church and family devotions. Breath of Heaven was started in 2007 by Pastor Ted Lawler, when the HIV/AIDS induced orphan epidemic in Zambia stole his heart. Since the inception of our church we have made it a priority to help financially and relationally support Ted and his wife Judy as they see to the care, discipleship, education, and future of these kids. Zambia has 1.1 million orphans, which is about 20% of everyone under the age of 18. Due to the extreme poverty, as the average Zambian earns less than $1 per day, the government, as well as the people, and even extended family, have no means to care for the orphans and widows. In addition to that, 50% of Zambia’s population is under the age of 15, making provision for these orphans practically impossible. But Breath of Heaven’s aim is not only to take orphans in, clothe them, and give them food and shelter; their ultimate aim is to educate these children from a young age, give them life skills, relational and social skills, and most importantly, disciple them as men and women of God to give them the ultimate future and hope. Their vision for these children is long-term, believing that the quality of care, mentoring, and discipleship will give these children the best chance at being difference makers in the future for Zambia and beyond. Why do we go to Zambia and not just send financial support? We want to continue to build relationships with these, our little brothers and sisters in Christ, through teaching, devotional times, fun and activities, prayer, and simply showing them love. It may sound simple, but there is something indescribable for these kids when they see others fly half way around the world just to come love them and hug them and play games with them. It profoundly and equally impacts the kids and those who visit Breath of Heaven alike and gives them a great hope. To help Raise Awareness through videos, testimonies, and other media. We also periodically record interviews and footage of life at Breath of Heaven. We want to help Breath of Heaven raise awareness and get the support that they need to continue building. They have the potential to build 8 more homes, totaling 168 orphans, and they recently finished construction on a community school in early 2015 which educates both the orphans and other children from the local community. In addition to that, they will be constructing a medical clinic for the community and a community church. But, they need help getting the word out. We aim to help with photos, interview footage, even audio recordings of the kids and house mothers singing (and trust us, these kids can SING! ), that we later edit into multiple formats for various promotional uses, such as awareness videos for churches, short videos for online and social media, longer “documentary” style for the most thorough and engaging look at the lives of these kids, and CDs with 100% of proceeds going to Breath of Heaven. You can watch one of these videos titled "As You Can See" below, as well as more on our YouTube page. First of all, we believe in the power of prayer, and so we ask that you would be praying for the Breath of Heaven Kids and staff, as well as the hearts of those God may stir up to go to Zambia in the future. Consider helping on an ongoing basis whether through becoming a monthly sponsor to a child or teacher, or a onetime gift to Breath of Heaven. Visit www.bofheaven.org for more information. Donate toward one of our future trips. Thank you so much for considering supporting the Breath of Heaven Children’s Village! If you have any questions you can contact our Zambia missions liaison Casey Barnes at .